This is a concept by where the Club will be gifting thousands of pounds worth of tickets to the Salford Red Devils Foundation. 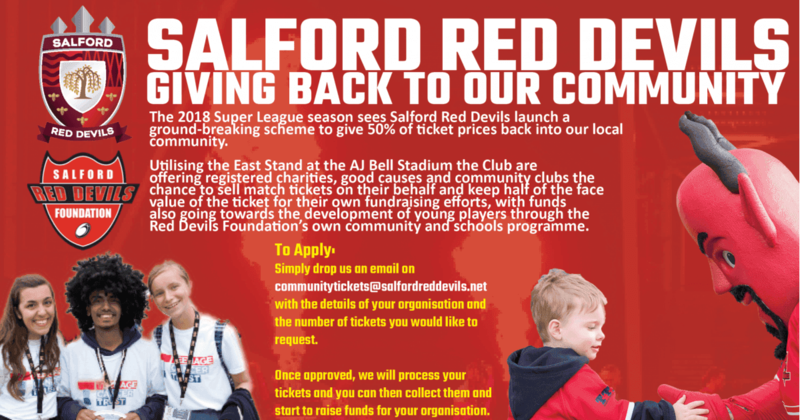 This is a concept by where the Club will be gifting thousands of pounds worth of tickets to the Salford Red Devils Foundation, which serves as the independent charitable arm of our Club and is based within our fine stadium here at the AJ Bell. It is hoped that the Foundation will use its strong community links to fill the East Stand on match days, with local people who may otherwise never have purchased a ticket. We need to look at building the concept of ‘fans of the future’, but we also need to look at promoting a trip to the AJ Bell Stadium not purely as a chance to watch a game of Rugby League (it’s not everybody’s proverbial cup of tea, after all), but rather turn matchdays into more of a carnival style experience, whereby we use the community gathering to celebrate local music, dance and other community arts and sports as part of the ‘festival feel’ of game days. The financial idea behind the East Stand Initiative is that the money generated from the sale of tickets will be split equally between the Foundation and a raft of local charities or not-for-profit groups who could benefit from such a cash boost. Money invested into the Foundation will contribute to – and support the development of – young players, which is a post from me for another time. Meanwhile, the money going back out into the community can support anything from a local junior grassroots sports team to a community brass band or senior citizens club. If there’s a charitable or community-based aim, we want to be a part of it. Put simply, our aim is to ensure that businesses such as ours can actively support good causes in the local area. In getting this initiative to really kick off, I’m asking all fans of Salford Red Devils to get behind the project and take to social media to promote its worth. 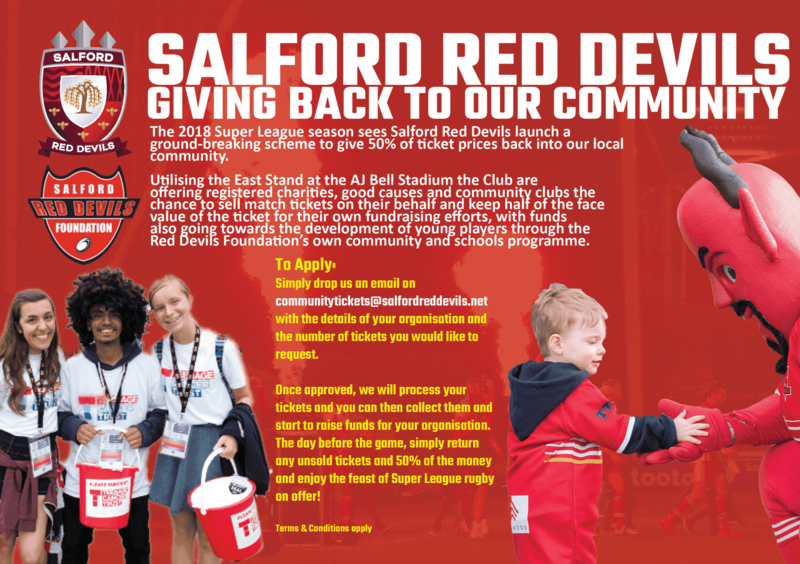 Likewise, get in touch with the Club www.salfordreddevils.net/contact/ or Foundation www.salfordreddevilsfoundation.co.uk/contact-us/ and tell us what role you see your local Rugby League Club playing in your community. If you’d be interested in claiming community tickets.